The Thrustmaster Frag Master was created to make PC first-person shooters more accessible. People who struggled with Quake‘s controls could pick it up, plug it in, and frag with the best of them. 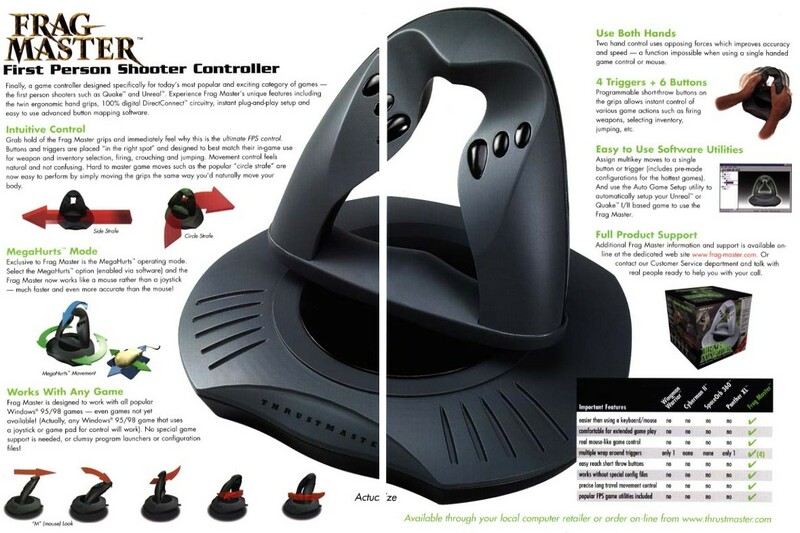 The problem was that the Frag Master looked less like a controller and more like a toilet from the future. Nothing about its design was intuitive, and programming it was a complete nightmare. Adjusting to a device isn’t easy when it seems like glancing at it the wrong way will cause you to travel through time. To make matters worse, the Frag Master was incredibly uncomfortable. Its “ergonomic design” caused terrible cramps, and using it for too long would cause your hands to go numb. The controller actually offered a mouse-like “MegaHurts” operating mode, and it absolutely lived up to its name. As long as there are video games, there will be terrible controllers for them. There are always going to be companies willing to greenlight products that throw comfort and ease-of-use out the window. 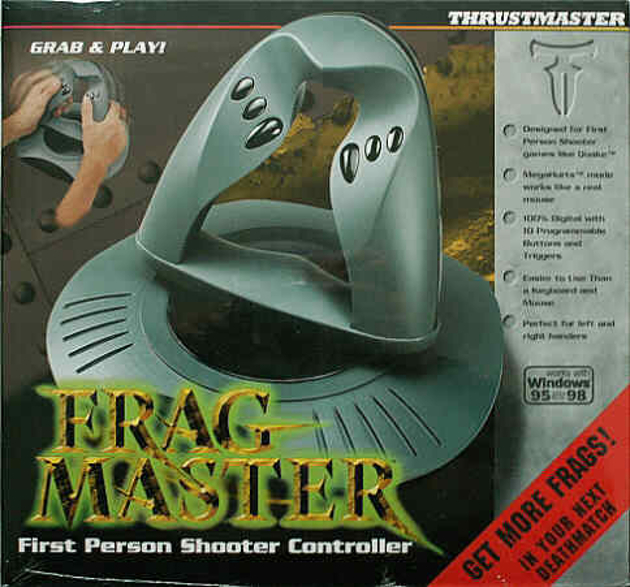 But the Thrustmaster Frag Master is the kind of product that could have only existed in the 90s. Like pogs and Fred Durst’s career, I’m glad it’s a thing of the past.